Hey Raptors fans! 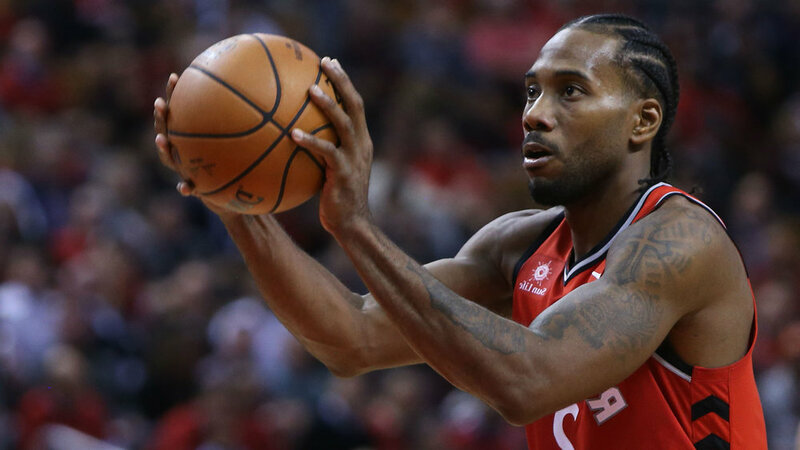 These are my takeaways of what I liked, kind of liked, and didn’t like from the Raptors this past week against the Bucks, Sixers and Suns (Oct 28th-Nov 3rd). Mr. Double-Double – Kyle Lowry has been so consistent this year and continued to pass the Timbit around this week for easy buckets for his teammates. He’s been able to manage a double-double in points and assists every game this season which is a Raptors franchise record. While breaking that record he’s also been able to stay on top of the assists per game column and we should expect him to stay there this year. He has a lot more offensive weapons around him and he’s been able to find his teammates in their juicy fruit sweet spots and I don’t expect that to change. King of Spice – Pascal Siakam was absolutely lights out this week, collectively on the offensive and defensive end. The Spice Master was able to average 15.7ppg, 9.3rbds, and 2.7 steals per game which is absolutely ridiculous for a 3rd year player who didn’t start playing basketball until he was 17 years old. Yeah, someone who has that type of talent and utilizes it to the best of their ability deserves to name himself the King of Spice! The scary thing is that he’s not even close to hitting his ceiling yet, because the sky is the limit for the kid from Cameroon. When it’s all said and done, if Siakam is able to keep putting up these lights out numbers, expect him to be in the contention for Most Improved Player in the NBA. Iblocka Gunna Give it To Ya- The king of blocks was all over the court this week, swatting balls like they were flies in the summertime. He was able to average 2 blocks a game during the week which doesn’t seem like an outstanding number, but in fact it is. He’s been able to get timely blocks that change the momentum of games, like the Phoenix game where he swatted a ball off the backboard and saved a potential run from the Suns. He was able to change shots as well, which is huge because you don’t always need the block to get the ball back. He’s been so consistent this year and that hasn’t changed this week. The icing on the cake is that he was able to average 20 ppg and 7 rebounds a game this week as well. It’s like Kyle Lowry told him to do his fuc*ing job and to fill up the stat sheet (¯\_(ツ)_/¯). The Ever Changing Bench Mob - Lauren Miles, CJ Miles wife, said it best via a tweet “the Bench Mob is really a thing of the past” and she certainly isn’t wrong for stating that over Twitter. The Raptors bench were average at best this week due to the fact that at times they couldn’t get anything going, especially during the Bucks game and for the first half of the Suns game. You can’t be surprised that they were a little shaky all week because they were missing key players like VanVleet and Anunoby, while Miles was basically a ghost for most of this week. The Bucks’ bench out-played the Mob during Monday’s bout, but the bench was in full force for the Suns game and they showed their full potential during the 3rd and a bit of the 4th quarter. They were able to generate some easy buckets when they got going, so I expect them to keep doing so as long as VanVleet takes the reins and leads the Mob into the nightly NBA grind. The Bench Mob’s gitch is moderately stuck on the fence right now for this week, but it’s leaning more towards the good side. Danny Green’s Inside Game – Don’t get me wrong, Danny Green has been rejuvenated in a Raptors uniform and I’m absolutely in awe of his play so far, but his inside game had me scratching my head this week. Green looked like CJ Miles driving the ball into the paint and putting up tough contested lay-ups which resulted in transition buckets for the other team. I love that he’s not just settling for the 3, because a lot of guys would fall in love with it. He has the correct mind state because by him driving it into the paint, he attracts other defenders. But instead of finding the open big man, he’s been putting up some wild lay-ups. I also noticed that he was posting up guys, which isn’t a bad idea either, but his turn arounds weren’t falling this week for whatever reason. He has a high basketball IQ so I expect him to read defenses better this upcoming week and he already showed that during the Suns game when he backed down his defender, drew the opposing big man for the double team, and dished it to a cutting Siakam on the baseline. Green’s gitch is stuck on the fence, but he’s so close to the good side that he can touch it with a little jolt of awareness! Defensive Lapses - This week was an absolute disaster for the Raptors and their late 2nd half defensive lapses. The first game of the week was against the Milwaukee Bucks and they were absolutely atrocious on the defensive end for the entire game. The perimeter defense that game could be compared to a bull fighter’s approach during a bull fight! Instead of guarding, they might as well have been yelling “Ole’” while the Bucks players flew by like an enraged bull. They allowed the Bucks players to blow by them the entire game with simple drives, which opened up the floodgates for a barrage of 3 pointers in the 2nd half due to the drive and kick approach from the Bucks. Things changed during the Sixers game for the most part, mostly because the Raptors played lockdown defence, which had your local retirement home fired up. That quickly changed in the 3rd quarter when the Sixers went on an 8-0 run when Kawhi went to the bench. They were able to take it from a 21 point game down to an 8 point game with 3:30 left in the 4th quarter. Luckily, the Raptors were able to get some key stops and buckets down the stretch to extend that lead into a 17 point win. The Raptors did it again on Friday night and allowed the Suns to make a run in the 4th quarter to take the lead from 17 to only a 9 point win. You probably think I’m overreacting, but I personally don’t think so. The Raptors need to learn how to put the nail in coffin, ride those leads, and not cough them up late in the ball game. It happened twice this week so that’s why their defence is on the ugly side. They have so much potential on the defensive side, and slowly but surely they will figure that out. Don’t get me wrong, for the most part the defensive effort was there. It would just be nice to not see those lapses, especially against teams like Phoenix. For now, their gitch is long gone and they’re on the hunt to get over the fence. The Dreaded Turnovers - Nope, I am not talking about the apple turnovers from BK - even though they do deserve to be on the ugly portion of any review. The Raptors have been sloppy when it has come to turnovers this year and this week wasn’t any different unfortunately. They averaged 12.7 turnovers per game during the stretch, which isn’t absolutely atrocious! Considering that they forced Ben Simmons to cough up the ball 11 times during Wednesday’s win, it isn’t that bad. Rather, it wasn’t about the amount of turnovers. Instead, it was about the timely turnovers that invigorated runs for the opposing teams during the week. If they can limit their timely turnovers, you’re going to see them excel to a point where teams won’t be able to climb back into games because the Raptors are executing on the offensive and defensive side. Offensive execution doesn’t necessarily have to mean they are getting buckets every time down the court. Instead, it means that they are running their sets and getting good shots while taking care of the ball. For now, the turnovers are on the ugly side, but unlike the BK turnovers they have a real shot of getting over the fence in the near future.